They can be hot. They can be messy. They can range from plain to spicy, served alone as a snack or with a whole range of toppings for a hearty meal. 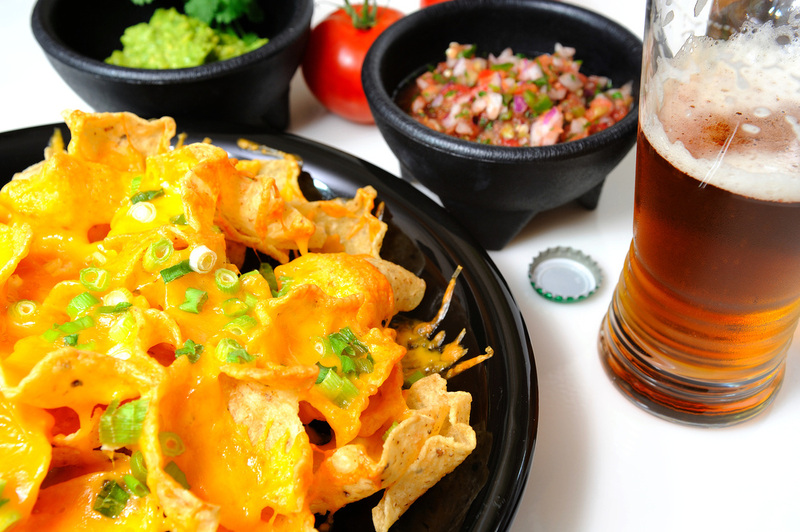 We’re talking about nachos, of course ! 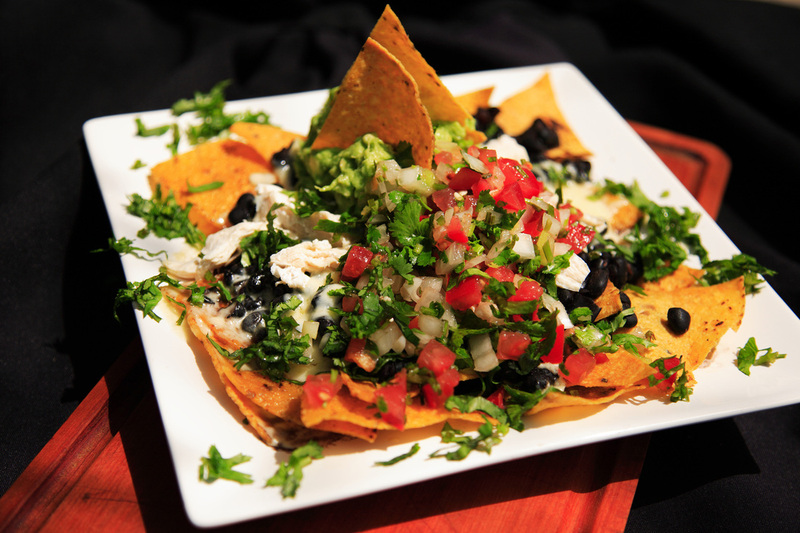 It’s said that Anaya, a Mexican from the border town of Piedra Negras, inadvertently invented nachos 70 years ago in 1943 when hungry guests showed up at the Victory Club, the restaurant he was working at across the Rio Grande River from Texas. The dozen or so patrons were the wives of American soldiers who had been shopping in town and were now looking for some sustenance. As the maitre d, Anaya found himself without a chef so he decided to rustle up something tasty for his guests. The only foods available in the kitchen were tortillas and cheese. He began making the dish by cutting the tortilla into triangles. The cheese was then melted by heating it together with the triangular chips. He topped the dish with jalapeno peppers to complete the first-ever recipe of Nachos Especiales otherwise known as Nacho's Special Dish. Anaya, who was called Nacho because of his short stature, created a dish that would grow in popularity in Texas and the Southwest over the next 20 years. Anaya went on to work at the Moderno Restaurant in Piedras Negras, which still uses the original recipe. He also opened his own eatery, Nacho's Restaurant, in the border town. But its reputation as a more widely popular snack food really took off in the 1970s and 1980s thanks to Frank Liberto who began selling nachos as stadium fare at Arlington Stadium, which was then home of the Texas Rangers. Liberto altered one significant ingredient that would give the nachos dish a longer shelf life and not require heat to melt the cheese. He created a melted cheese product that was part cheese and part secret ingredients. His cheese sauce didn’t need to be heated and its shelf life was extended well beyond the original recipe, which used perishable cheese. Liberto introduced his stadium nachos to famed sports broadcaster Howard Cosell, who praised the dish during a Monday night football game, a move that is credited with helping turn nachos into a household name. Ignacio Anaya died in 1975. In his honour, a bronze plaque was erected in Piedras Negras, and October 21 was declared the International Day of the Nacho. 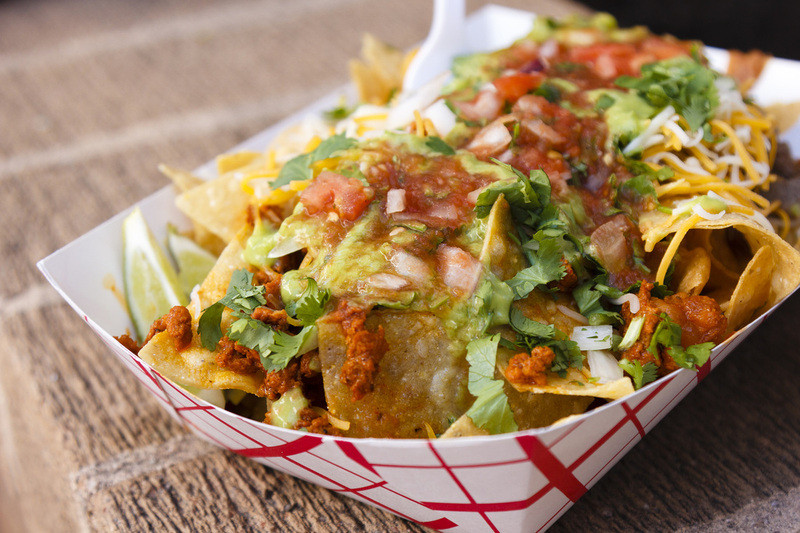 Nachos with the works are often called loaded or super. 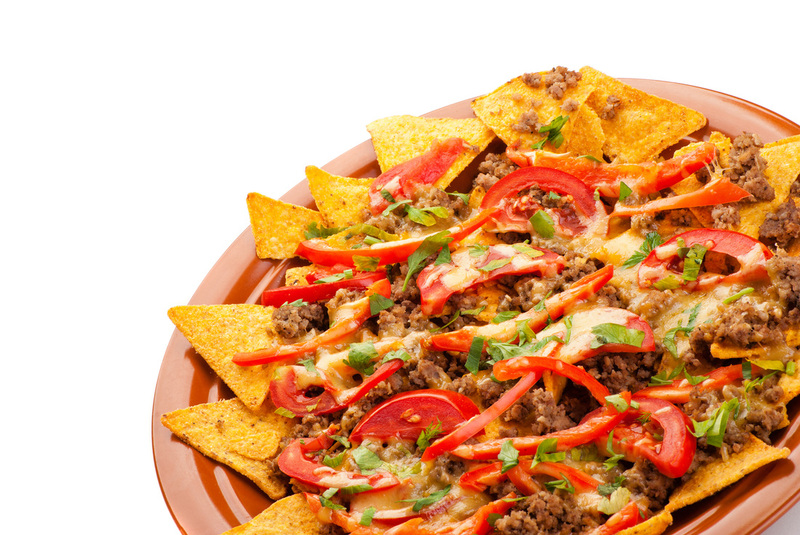 As a snack among fellow diners or a hearty meal for one, this dish comprises nachos topped with meat and refried beans, covered in shredded cheese. 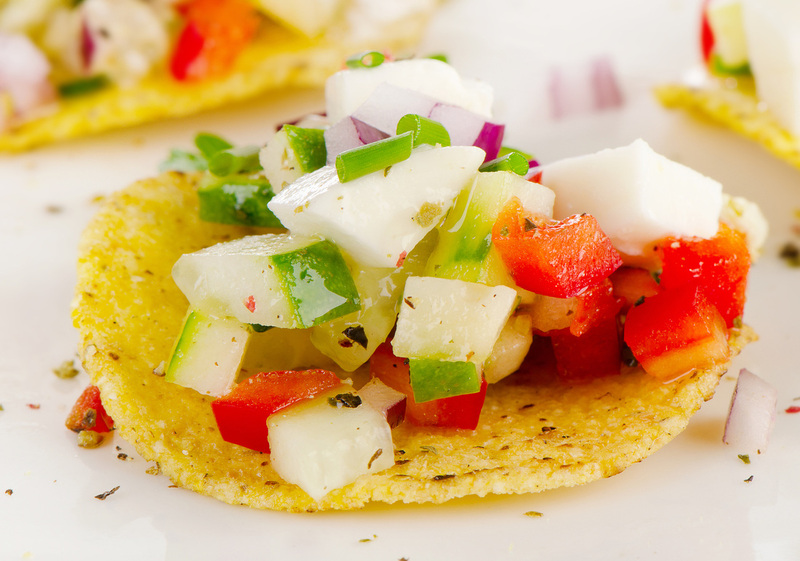 Once the cheese is melted, cold toppings such as shredded lettuce, tomatoes, salsa, onion, and jalapeno are piled on top. Other possible toppings are limited only by your imagination but might typically include cilantro, chicken, chorizo, bacon, guacamole, lime, olives, pico de gallo and sour cream. Barbecue nachos are popular in Memphis, Tennessee in which heaping portions of barbecued pulled pork are placed atop nachos and doused in cheese sauce, barbecue sauce and jalapeno peppers. In Hawaii, kalua pork and pineapple nachos are served in many restaurants.